What are the official requirements for membership? 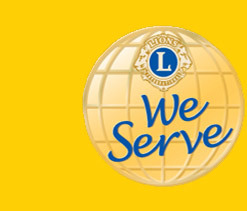 Membership is by invitation and open to men and women of legal majority and good standing in the community. 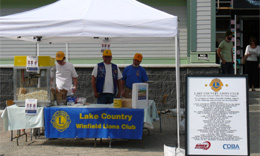 Those interested should contact the Lake Country Lions club Membership Director. What % of funds raised goes back to the community? 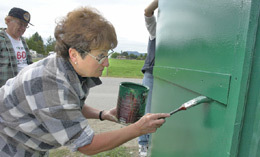 100% of all funds raised through our fundraising projects goes back to the community. All administration costs are covered by members dues and other internal funding. I have special needs can the Lions help? The Lions may be able to assist with uncovered expenses. Contact any member for the process and application. We are having an upcoming function can I hire the Lions? By all means, the Lions are always willing to listen to a proposal.